We’ve just spent the last week hooning around on the latest madcap machine from Quadro. You won’t read about it anywhere else yet because we were the first UK journalists to swing a leg over this big red machine. We rode their 3-wheeler in January (again we were the first) but the Swiss firm have gone one better with the new Quadro 4. Yes folks it really does have four wheels. 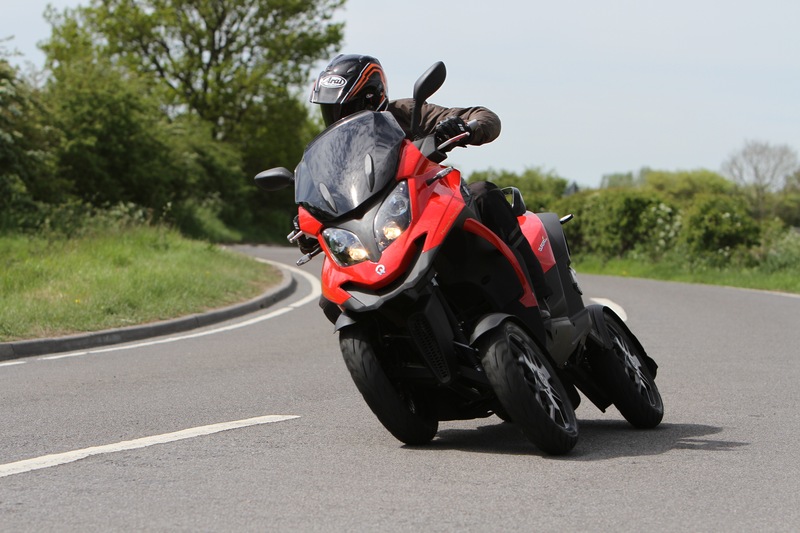 You can ride it on a car or bike licence, it’s very very different to anything else currently on the market and you can read all about it on 2commute this Friday (15th May). To whet your appetite here are a couple of photos for your perusal….